This College is accredited by NAAC B++ (National Assessment and Accreditation Council) validity is 04 Nov 2021 and the score is 2.82 . 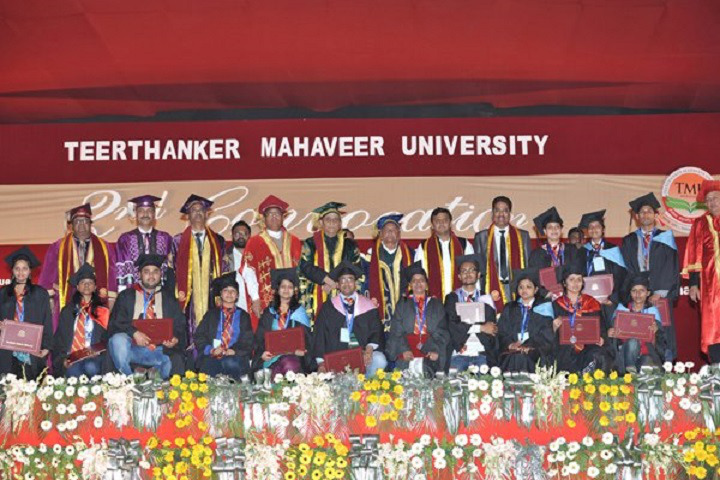 Teerthanker mahaveer medical college moradabad is a good college that provides tremendous opportunities to extract the best in students and to gain the most they can. 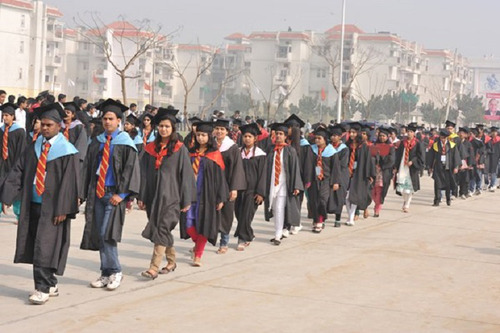 It consists of around 18-19 colleges that provide different courses. The infrastructure is good too and so is the faculty! The faculty is very co operative and understanding.......hostel as compared to other colleges is better but can be improved in future. Teerthanker mahaveer hospital also provides great opportunities to practically visualise the part studied in theory..............................................! 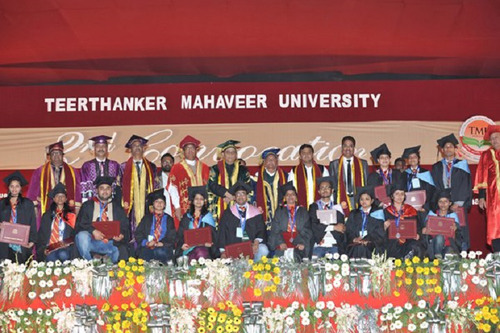 TEERTHANKER MAHAVEER UNIVERSITY is located at Delhi road,moradabad. The university have many colleges and one of which is college of engineering. 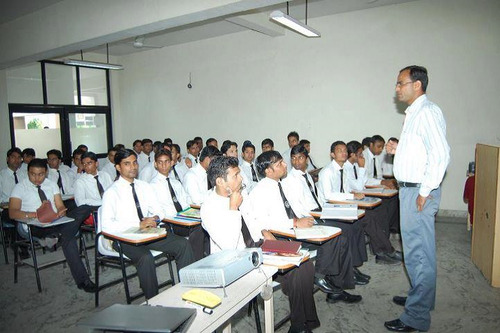 The engineering college have good educated and experienced faculties. The college life at TMU is good as it has all the things which a student required in a campus. The campus is around 150 acres in area. 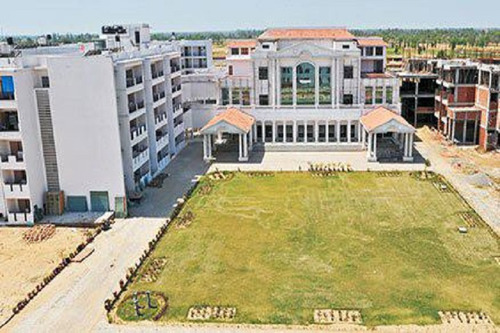 The hostel have a capacity of 4000 students. There is also good food facility for jain students. The university also gives 50% off in hostel and tution fees for jain students . 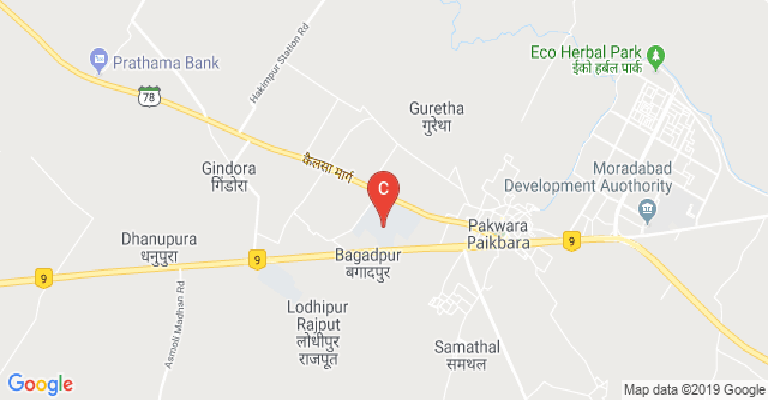 Referral code 62PMLK Teerthanker Mahaveer University is good. It is located on Delhi road. 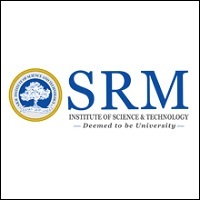 This university has many colleges out of which one of them is college of engineering. The college of engineering has low placement record but with time it is increasing. Here faculties are good and helpful. Labs are also good. 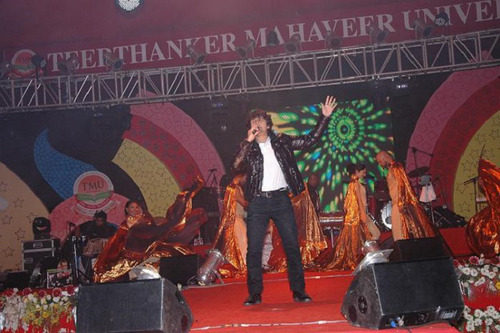 Referral code is QIW61X Teerthanker Mahaveer University is a good university. It is situated at NH24. This university has done a great development in last 10 years. It has increased it's no. of students, no. of courses, and has great development in infrastructure. 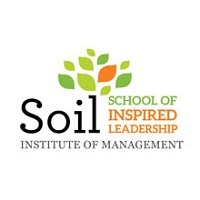 This university also gives many scholarships to students. Here indoor complex is also present for indoor games. The TMU is a college of studies as it prefer studies first for students and another curricular activities, after that it also take a new step for an attendance of students so that they can join college regularly and understand what the college is teaching to them. 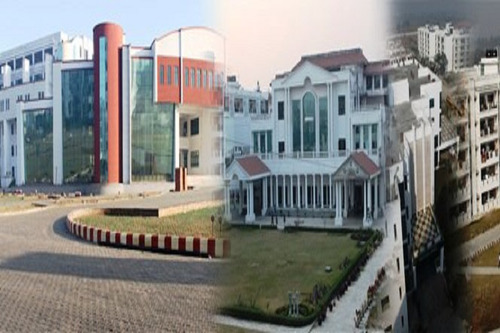 How is tmu Moradabad for MD medical courses? Is seat available for b.pharma? Thanks for query please specify what details you want to know like more about college or placement or fees etc? 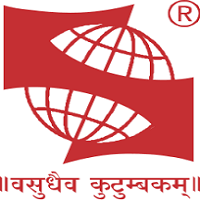 This College is accredited by NAAC (National Assessment and Accreditation Council) B++ validity is 04 Nov 2021 and the score is 2.82 . Boys Hostel :We call our hostels home for students. The hostels at TMU are a home away from home. The onus of developing the student academically, strengthening their culture, taking care of their physical fitness, all lie on this vital microstructure of the University. Life in TMU hostel is a stepping stone to further independence, an essential right for many, enabling them to reach out to their destiny. The University houses five hostels in its campus- 2 for boys with a capacity to accommodate 4600 students. The hostel rooms are spacious, clean, and well maintained with attached bathrooms. The rooms are available on a single occupancy basis as well as on sharing basis. To help the young minds focus on their studies, each room is furnished with beds, wardrobes, study tables, chairs and air-cooler. Solar heaters have been installed in all the hostels to supply hot water conserving electricity. Water purifiers and water coolers are installed to provide potable water. Round the clock power back-up helps students to study without interruption. Girls Hostel :We call our hostels home for students. The hostels at TMU are a home away from home. The onus of developing the student academically, strengthening their culture, taking care of their physical fitness, all lie on this vital microstructure of the University. Life in TMU hostel is a stepping stone to further independence, an essential right for many, enabling them to reach out to their destiny. The University houses five hostels in its campus- 3 for girls with a capacity to accommodate 4600 students. The hostel rooms are spacious, clean, and well maintained with attached bathrooms. 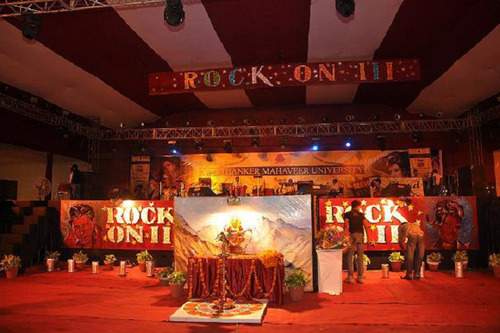 The rooms are available on a single occupancy basis as well as on sharing basis. To help the young minds focus on their studies, each room is furnished with beds, wardrobes, study tables, chairs and air-cooler. Solar heaters have been installed in all the hostels to supply hot water conserving electricity. Water purifiers and water coolers are installed to provide potable water. Round the clock power back-up helps students to study without interruption. Library :The central library was established in the year 2008, it is situated on the fifth floor of the Medical College & Research Centre and occupies 2560 sq. m. the area along with Central library and University maintains well-stocked separate libraries for each of its colleges and faculties. These libraries have more than one lakh books on varied subjects and have a subscription to print version of 396 national and international journals besides access to a host of e-journals. The University has subscribed the ClinicalKey, DELNET, EBSCOhost and maupatra database providing access to full-text research articles and sector specific reports in different disciplines. Sports :Sports and fitness is an integral part of the University which provides a network of facilities, inducing opportunities for sports participation at all levels, and provides a chance to its students to take part in a wide range of sports pursuits. Services of the students of the University are sought for various inter school, district, state and national level tournaments as officials and referees in Volleyball, Tennis Cricket and Martial Arts. State-of-the-art sports facilities are available at the University to ensure all round development of the students. I.T Infrastructure :The University is adequately equipped with computer systems. 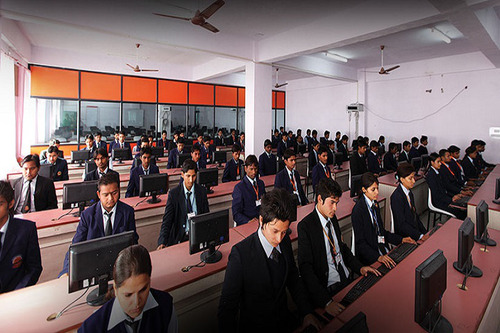 Each college has a dedicated computer lab(s) equipped with general as well as domain-specific software for quality teaching and research. Cafeteria :Besides central Mess facilities, each college of the University has spacious and well-maintained canteen as well as Talk-of-the-Town and VIP Pizza Restaurant providing the students with the choicest of hygienic and delicious Indian, Chinese & Italian dishes. These spots have become essentially centres of learning beyond classrooms. Transport Facility :The University maintains buses and cars to facilitate travel by students and faculty within a radius of up to 100 km. The University also maintains ambulances for medical emergencies. In addition, assorted utility vehicles are at the disposal of departments across campus. Banks/ATMs :Punjab National Bank provides banking services including lockers and ATMs on campus. Wifi :The college has Wi-Fi connectivity. Gym :Practicing the adage that a fit mind is an active mind, an air-conditioned gymnasium with modern fitness equipments is available for students and staff.